Have you ever wondered how people came up with basic mechanical devices like the wheel or the lever? I have, and much more importantly, so have the smart folks at the Archimedes Project. 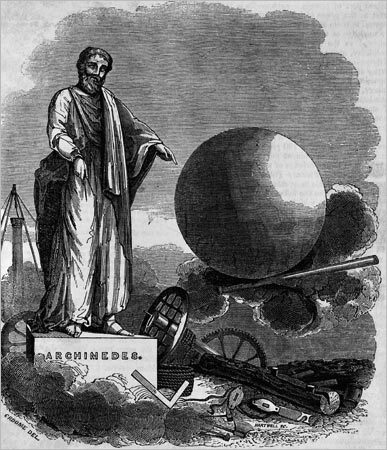 The Archimedes Project is a joint endeavor of the Max Planck Institute for the History of Science, the Harvard Classics department, the English Department of the University of Missouri and Perseus Project at Tufts University which studies the history of mechanics. They’re building a monster online database of their research. It’s not enormously user friendly right at the moment, but it’s still a fantastic resource including all sorts of ancient writings on mechanics. Of course, as Harvard classics professor Dr. Schiefsky points out, scientists aren’t often classicists as well, so it’s a small group of people who have the ability and inclination to pursue this study. I am neither scientist not classicist, but ancient science is a subject of endless fascination to me. Gotta prepare for the post-technological apocalypse, donchaknow.